What does erythropoietin do? Why do we need it? Why is an erythropoietin test performed? Do I need to fast before an erythropoietin blood test? 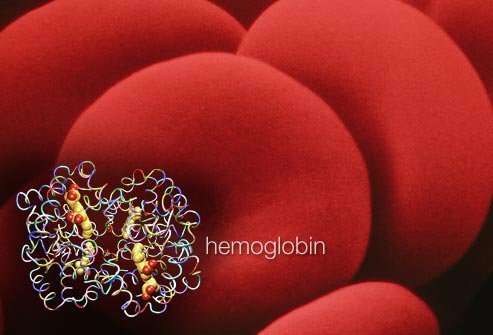 What are normal erythropoietin levels? What does an abnormal erythropoietin level mean? Can a person without a medical disease or condition have a high erythropoietin (EPO) level? Is erythropoietin available as a prescribed medication? What diseases or conditions does prescription erythropoietin treat or manage? The kidney cells that make erythropoietin are sensitive to low oxygen levels in the blood that travels through the kidney. These cells make and release erythropoietin when the oxygen level is too low. A low oxygen level may indicate a diminished number of red blood cells (anemia), or hemoglobin molecules that carry oxygen through the body. Chemically, erythropoietin a protein with an attached sugar (a glycoprotein). It is one of a number of similar glycoproteins that serve as stimulants for the growth of specific types of blood cells in the bone marrow. Erythropoietin is produced to a lesser extent by the liver. Only about 10% of erythropoietin is produced in the liver. The erythropoietin gene has been found on human chromosome 7 (in band 7q21). Different DNA sequences flanking the erythropoietin gene act to control liver versus kidney production of erythropoietin. Too little erythropoietin might be responsible for too few red blood cells (anemia), especially anemia related to kidney disease. Too much erythropoietin might be causing too many red blood cells (polycythemia). Too much erythropoietin might be evidence for a kidney tumor. Too much erythropoietin in an athlete may suggest erythropoietin abuse. The patient is usually asked to fast for 8-10 hours (overnight) and sometimes to lie quietly and relax for 20 or 30 minutes before the test. The test requires a routine sample of blood, which is sent to the laboratory for analysis. Normal levels of erythropoietin range from 4 up to 24 mU/ml (milliunits per milliliter). Abnormal erythropoietin levels suggest possible disease of the bone marrow or kidneys. Another possibility is abuse by an athlete to increase the red cell count for better athletic performance. The correct interpretation of an abnormal erythropoietin level depends on the particular clinical situation. Sometimes, the erythropoetin level may be inappropriately normal when it should be elevated (such as when there is an anemia), indicating a problem with the kidneys. Yes. For example, erythropoietin has been misused as a performance-enhancing drug in athletes such as cyclists (in the Tour de France), long-distance runners, speed skaters, and Nordic (cross-country) skiers. When misused in such situations, erythropoietin is thought to be especially dangerous (perhaps because dehydration due to vigorous exercise can further increase the thickness (viscosity) of the blood, raising the risk for blood clots, heart attacks, and strokes. Erythropoietin has been banned by the Tour de France, the Olympics, and other sports organizations. Yes. Using recombinant DNA technology, erythropoietin has been synthetically produced for use as a treatment for persons with certain types of anemia. Erythropoietin can be used to correct anemia by stimulating red blood cell production in the bone marrow in these conditions. The medication is known as epoetin alfa (Epogen, Procrit) or as darbepoietin alfa (Arnesp). It can be given as an injection intravenously (into a vein) or subcutaneously (under the skin). Erythropoietin is used in many clinical settings. The most common use is in people with anemia (low blood count) related to kidney dysfunction. When the kidneys are not properly functioning, they produce less than normal amounts of erythropoietin, which can lead to low red blood cell production, or anemia. Therefore, by replacing the erythropoietin with an injection of synthetic erythropoietin, anemia related to kidney disease may be treated. Currently, Epogen or Procrit is a standard part of therapy in patients with kidney disease who require dialysis to both treat and prevent anemia. Other uses of erythropoietin may include treatment of anemia related to the medication AZT (used to treat AIDS), anemia caused by chemotherapy, anemia caused by dysfunctional bone marrow (where the blood cells are made), and anemia associated with cancer. Elomsy, G, MD. "Erythropoietin. Medscape. Updated: Dec 05, 2014. Why were your erythropoietin levels tested? What did your erythropoietin test reveal about your health?